Today in our poetry news roundup we take a look at the Minsk International Book Fair, the poet Hollie McNish and, finally, the commemorative statue for the poet Sherko Bekas. 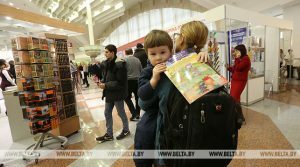 The Minsk International Book Fair, which is in its 26th year, will take place from 6th -10th February. The exhibition is planned as a showcase for the book printing industry, and will offer up many new translations of international books. These books will include the premiere of Walt Whitman’s “Leaves of Grass” poetry collection, which has been translated by Yanka Sipakov. The printing houses in Belarus are, in fact, responsible for a considerable number of the foreign language books and brochures that are published in the former Soviet states. This is a testimony to the number and proficiency of translators who are located in the region. This is a major event in the book world that will see events taking place in local bookstores, libraries and museums. The title of the event this year is “More Than Books”. It is hoped that there will be over 300 stalls, with representatives from 35 different countries, and around 60,000 people in attendance. On February 9th the poet Hollie McNish will be at the Theatre Clwyd in Mold with her Plum book tour. McNish who grew up in a village in Berkshire, never intended to become a poet or go on the stage. After she finished school, she studied languages at university, followed by a second degree in economics. It wasn’t until she was in her mid-20’s that fame found her. She wrote poetry from a young age, but just for fun, and by the time she was 25 she had a box of around 200 poems. It was only with the persuasion of her family that she went to an open mic night and performed one of her poems and from then on, a new career was born. 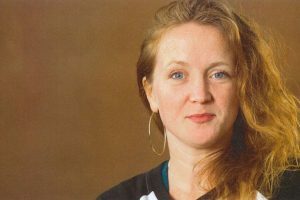 It was poems such as “Embarrassed”, which spoke of the humiliation McNish felt from having to breastfeed in a public toilet that really spoke to people and propelled her into the public eye. 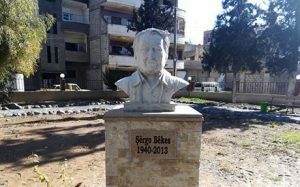 A statue dedicated to Sherko Bekas, the renowned Kurdish poet, has been unveiled in the Qamishli Garden of Poets in the city of the same name. The garden has been put together with the aim of encouraging a love of reading, not only amongst the young but also people as a whole in the region. The garden is home to busts of a number of other Kurdish poets including Ciger Khuwen, Musa Antar and Osman Sabri, as well as a collection of books in Arabic, English, Turkish and of course Kurdish. Bekas was born in 1940. His father was also a famous Kurdish poet, Fayaq Bekas. He died in 2013 in Stockholm of cancer. In 1992 Bekas played an important part in the first Kurdistan Regional Government. He was the first Minister of Culture.